Home Directories	Smarty Giveaway: 10 Smarties will win a Carolina Flipz Trial Class of choice! Smarty Giveaway: 10 Smarties will win a Carolina Flipz Trial Class of choice! Smarty Alert! Our friends at Carolina Flipz are giving TEN lucky Smarties a free trial class of choice at Carolina Flipz! This brand-new facility is conveniently located behind Carolina Place Mall, perfect for South Charlotte families! Classes start at age six months and go up to 17 years. 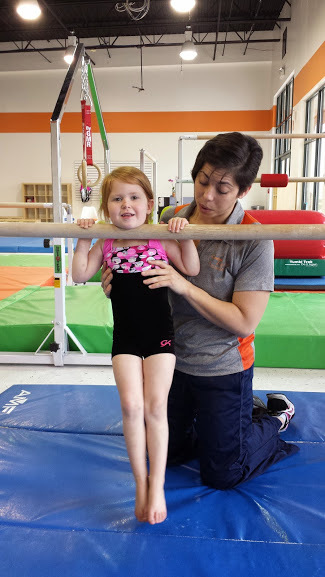 Carolina Flipz is a positive and encouraging gymnastics environment with certified USAG coaches to teach technical gymnastics, tumbling, and acro to both boys and girls ages 6 months – 17yrs. Team CSP has experienced Carolina Flipz firsthand and we can’t say enough positive things about it. We love the clean gym, attentive coaching and friendly staff. Classes for the fall are already open so get signed up now to secure your spot! Click here for a full class schedule. Carolina Flipz is owned and managed by Angela Davis, aka, Coach Angi. A competitive gymnast for 8 years, competitive and collegiate cheerleader for 10 years and a gymnastics coach with 18 years of experience in gymnastics, cheer, dance, and tumbling, Angi is a rockstar when it comes to mentoring young kids with a passion for tumbling. At Carolina Flipz, they offer year-round gymnastics instruction through fun, flips, and focused attention to every student ranging from 6 months – 18 years within recreational instruction, AAU competition and competitive cheer. Their experienced staff, certified in USAG, AAU & USASF, coaches each child through the progressions of all gymnastics and/or cheer skills based on their level of experience. To educate kids on physical and mental health wellness through safe, positive gymnastics instruction year-round that builds each athletes confidence, leadership, and technique while having fun. How do I enter to win my free Flipz trial class? 1. Leave a comment below telling us which class you are interested in at Carolina Flipz. 2. Like and follow us on Facebook and Instagram and share this post by clicking the Facebook icon in upper left corner. Also, please like Carolina Flipz on facebook! 3. Bonus Entry: Subscribe to our newsletter and include that in your comment. The fine print: We will unveil the winners on August 14th in the Smarty e-newsletter that goes out every week. So make sure you are an e-subscriber! One entry per Smarty. Note: The trial classes are subject to availability. Come experience the FUN of gymnastics! Carolina Flipz looks forward to flipping with you! Mother’s Day Swagilicious $1,100 Giveaway! Jr 1,2 and star . My almost 5 year old daughter would love to try y’all out! So fun! I pass by your location daily on my way to work! Parent/Tot or Jr 1 :: both of my boys have a ton of energy! Newsletter subscriber and facebook fan. Interested in the Parent/Tot class. Also subscribed to newsletter and liked on fb. My 18 month old is climbing on tables, cat trees, doing forward rolls, downward dog, etc. She is full of life and strong. We’d like to take a class she’s ready for. I used to be a gymnast and was going to instruct her myself until she was 4-5, but seeing this ad and where she seems to be developmentally, I think a class would be great for her. We hope to join. Parent tot 2, mini and youth flips for my almost two year old who never stops and my six year old who climbs stop signs! Hi Angie, I was a div I competitive gymnast and am looking at gyms to start my daughter in. We’d love to meet you and try a class! We would be interested in the Saturday Mini class. Thanks so much! Would love to try a Junior 1 class for my kindergartner. 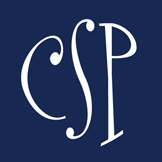 Already a newsletter subscriber and have liked Carolina Flipz on FB!